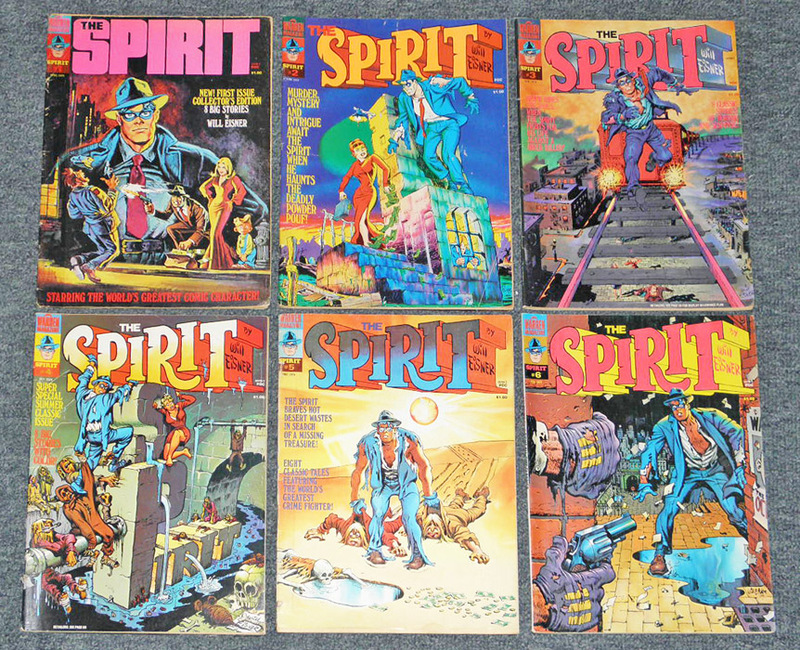 If you want to see some of Will Eisner’s best work, I’d recommend the Spirit magazine that Warren Publishing put out in the 1970s. 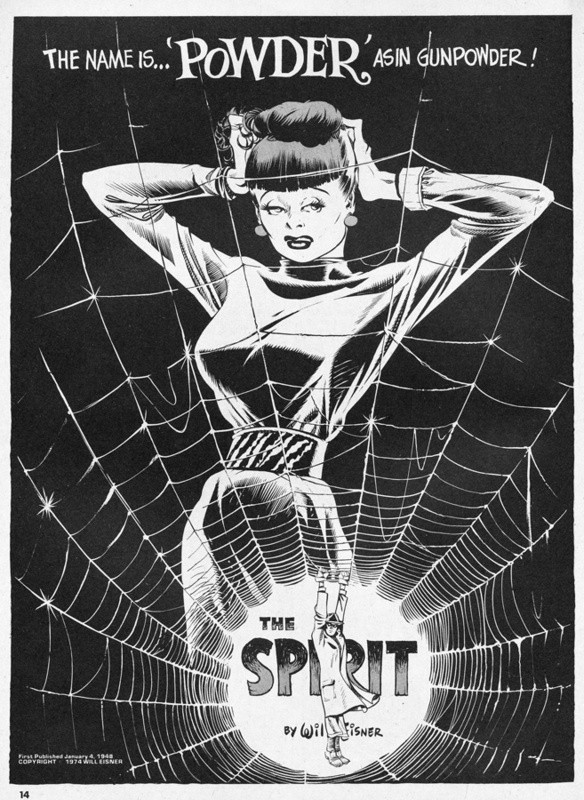 Reprinted mostly in black and white, they have a beautiful film noir feel that can’t be beat. That last Jailbreak page just blows me away. 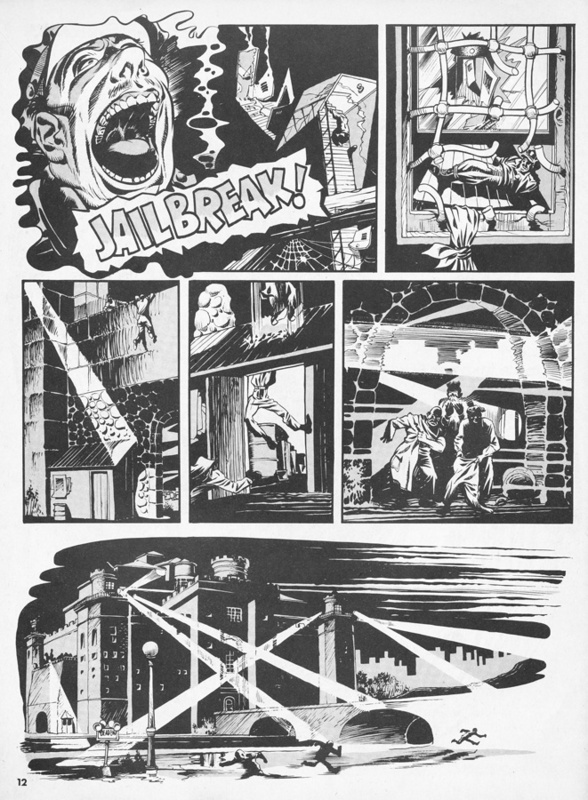 Quick digression – If you look closely at the jailbreak scene I did in the following Flash Gordon Sunday page, you’ll notice a little Eisner homage in the last panel. I prefer The Spirit in b-&-w—I prefer all of my work in b-&-w, to be honest with you. I believe the black line is a more pure contact with the reader. Color tends to obliterate or interfere with the flow of the story. I try very hard to make emotional contact with my reader early and to maintain an intense relationship as the story goes on. I find that anything that interferes with that is counterproductive. JBC: Did the adding of tones bother you? Will: That helped some. I found that more tolerable than the color because greys added dimension to the art. 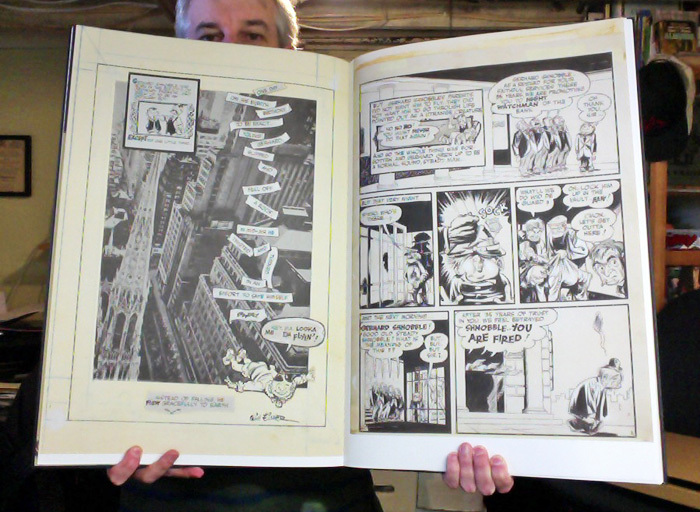 JBC: Do you still have the original art from The Spirit sections? Will: Yes, I have most of the original art from the stories that I did—but not the ones that were done in 1942-45, while I was in the Army. I don’t have any done by Lou Fine, Jack Cole—none. JBC: You supplied the proofs to editor Bill DuBay at Warren? Will: I gave them proofs and they made the film. What they _decided to do was not to reprint chronologically (the way that Kitchen Sink did it later); they did those stories on a selected basis. Bill DuBay would select a series of stories (for whatever reason; how they decided I don’t know) and they ran the series erratically. I would have preferred them to be run chronologically because some of the stories did connect. 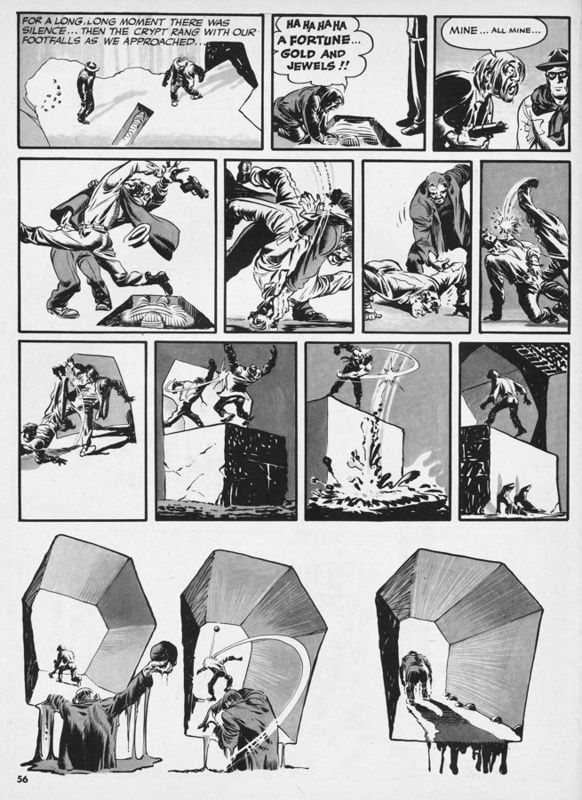 I never ran a long continuity but once in a while I’d run three or four stories that had a connection. JBC: You were listed as an editorial consultant for the magazine? Will: I don’t remember how he listed me but I guess I was a consultant. Financially, we were paid for a publication license to the rights—for a “one-time” usage. JBC: Did you have any editorial input? Will: No. There was no need. The only thing I insisted on controlling was that I would do the covers; I would do the line drawing and somebody would underlay the coloring. 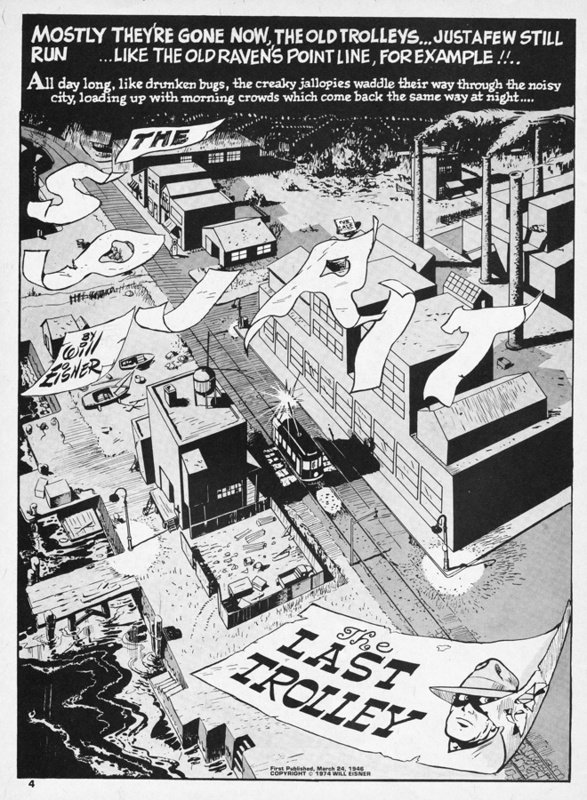 For instance, one of the early Warren covers had my drawing of The Spirit running on an elevated railroad track, and Bill had Richard Corben do the paint coloring. Will: Occasionally he would have someone do a cover painting that I would object to. Occasionally, we had a little brouhaha in Jim’s office over a cover rendering but we got along very well otherwise. There was one pulp cover artist who did one, and I walked into Jim Warren’s office (Bill DuBay was there at the time) and I said, “Over my dead body!” [laughs] I’m usually very generous with publishers; I give them a lot of room because I usually pick a publisher whose judgement I respect, so I really don’t have much occasion to contradict what he’s doing—but, in this particular case, the cover was pretty awful and I put a stop to it very quickly. 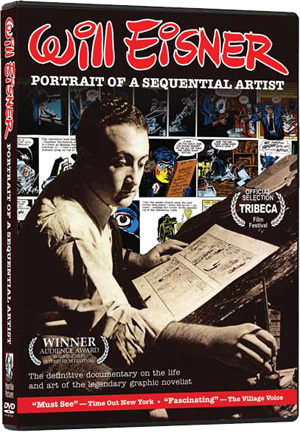 Actually, I thought highly of Jim because he was responsible for raising the level of art in comic books by bringing a wave of Spanish artists who were brilliant illustrators. I think historians of this medium should recognize Jim for this. 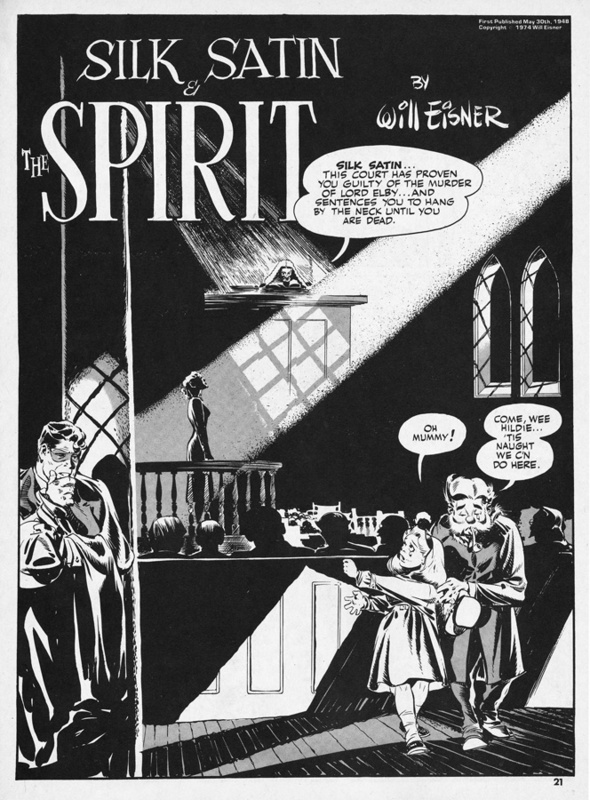 This entry was posted in Artist Spotlight, Will Eisner and tagged The Spirit, Will Eisner. Bookmark the permalink.